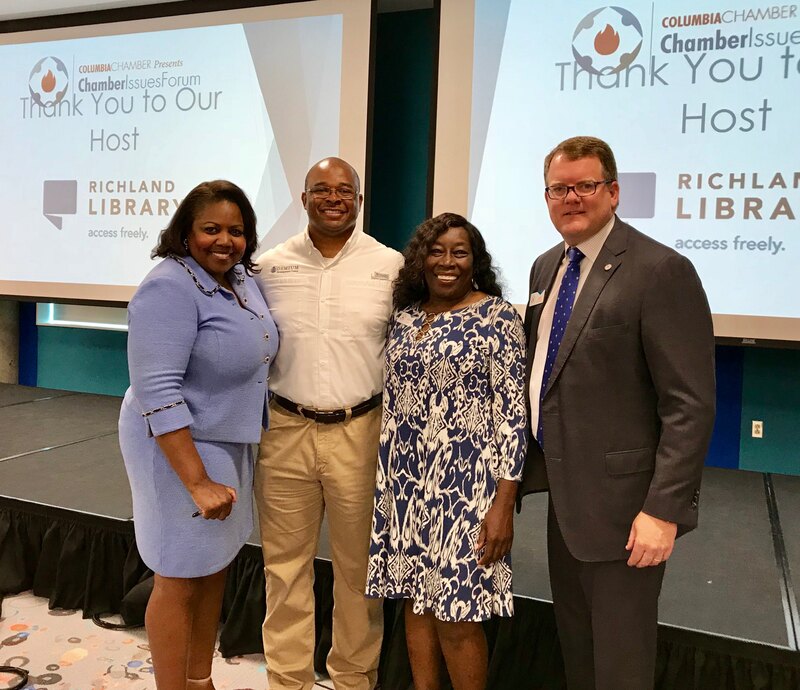 The Chamber’s August Issues Forum featured Richland County Councilwoman Dalhi Myers, District 10, who provided an update on the transportation penny and responded to numerous questions regarding County business. Dalhi made it a point to highlight that the state of the penny is healthy and the County needs to be prudent with how they spend taxpayer money. It was a vibrant discussion regarding funding, bonds, SC DOR, road projects completed and the future. Participants appreciated the honest and transparent conversation about the Penny, the County Administrators position, and the Renaissance project. Currently, a search firm has been hired to find qualified applicants for the administrators position and they hope to fill it within 6 months. Continue to monitor the activities of Richland County Council and the Transportation Penny. Work with the Issues Forum, Public Policy Committee and others to promote transparency in local government and continue providing input based on the needs of the Chamber business partners.